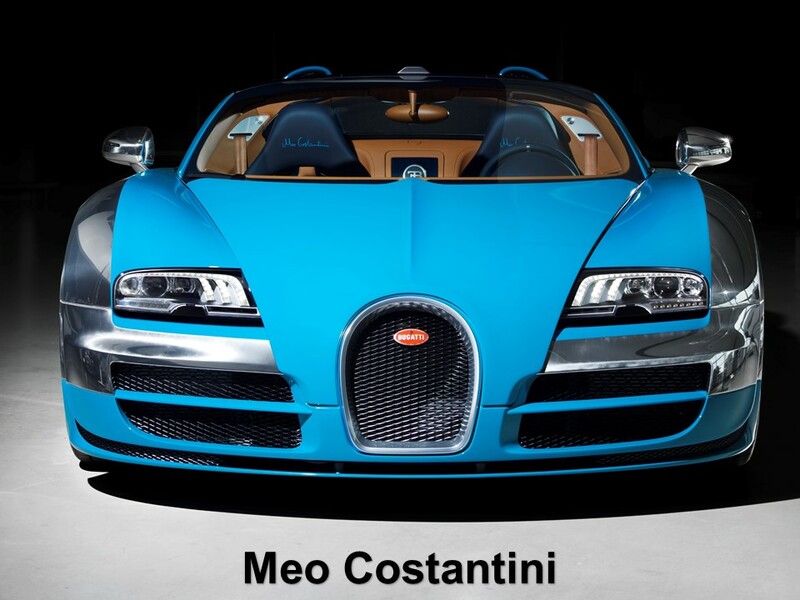 Among the world’s most prized possessions are DaVinci, Gauguin, Renoir, and Bugatti. 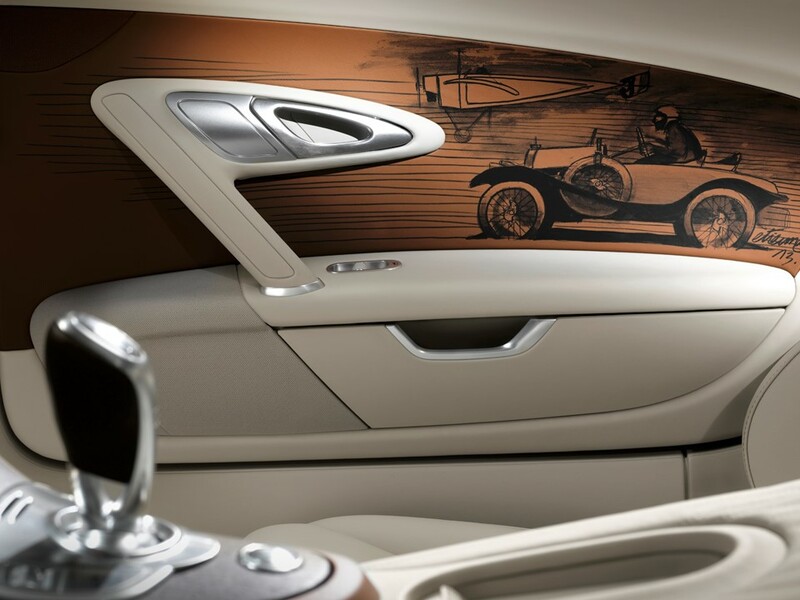 The Veyron 16.4 Grand Sport Vitesse has become a blank canvas exhibiting automotive art destined to become museum pieces. Each individual masterwork became an instant work of art the moment it left assembly. 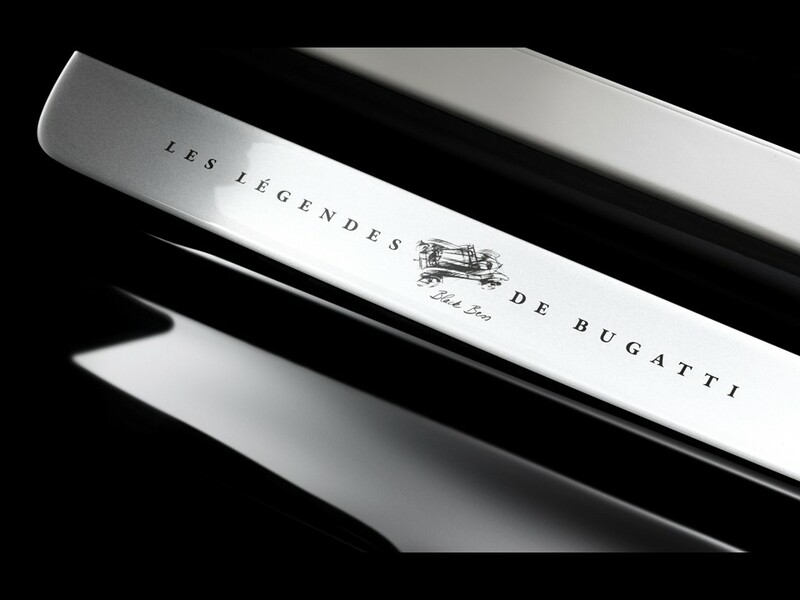 The exquisite “Les Légendes de Bugatti” Collector’s Series is available in an exclusive six part release. Each individual release is built at an extremely restricted pace of only three vehicles. All nine vehicles from the first three releases have sold. 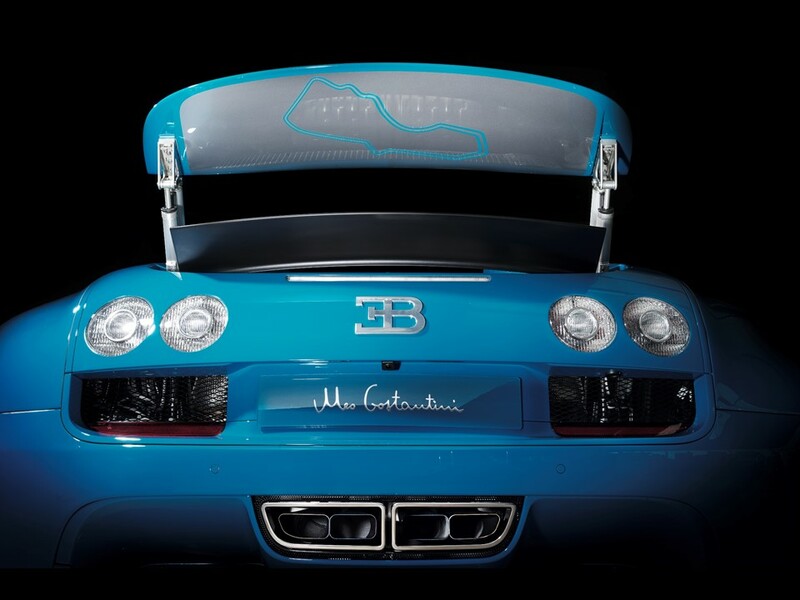 Each of the nine Bugattis from the first three limited edition series sold for an average $2.2 Million Euros. 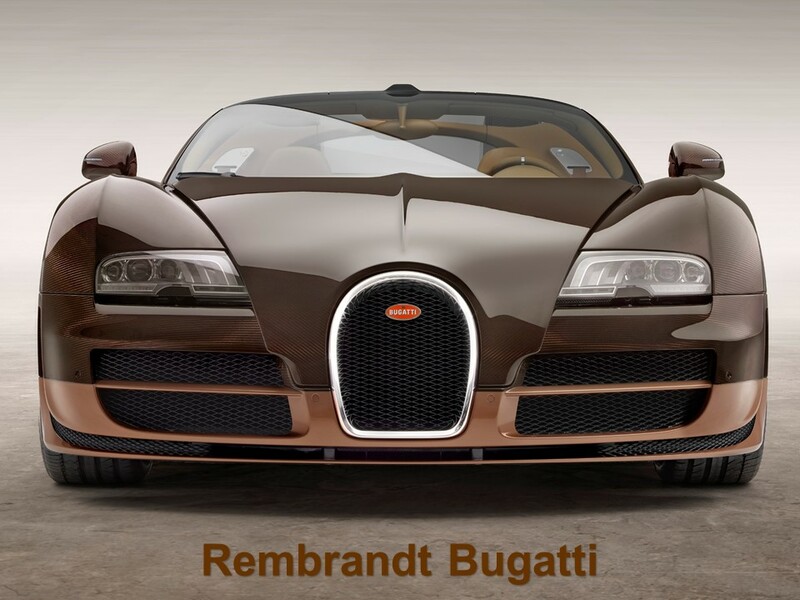 Release #4 Rembrandt Bugatti Veyron built at the same restricted pace of only three vehicles all sold out at $2.18 Million Euros each. 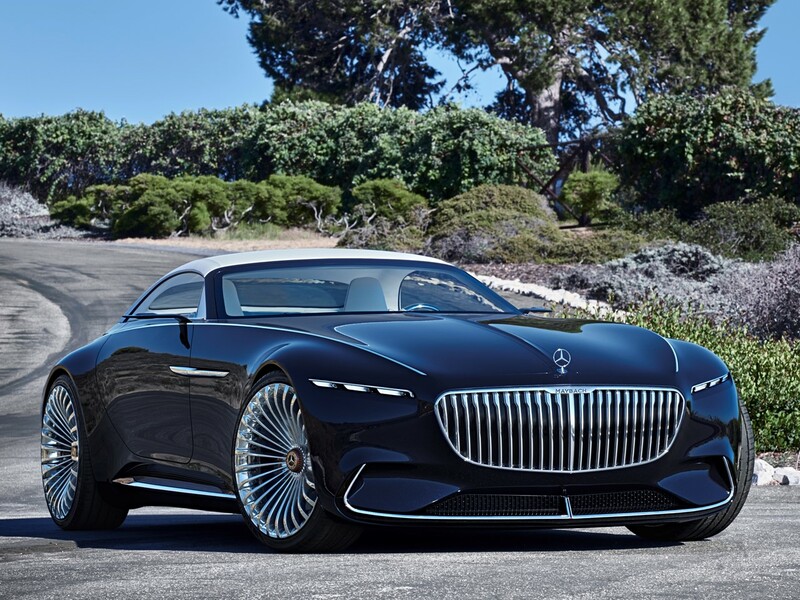 The fifth release in this exclusive series honors the world’s first street-legal supersports car. 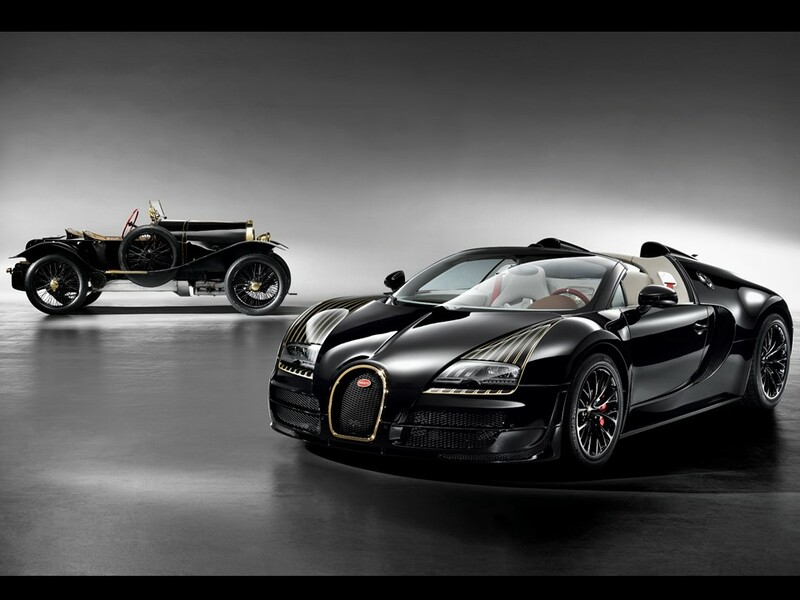 The legendary Bugatti Type 18 “Black Bess” was the fastest road car of its day. It was one of the most important Bugattis of the pre-war era. Its technical features made it ahead of its time. The Type 18 was equipped with a 4-cylinder 5.0 litre in-line engine that was capable of 100 mph which was astounding for its day. The engine had unique features such as a crankshaft mounted on three bearings with an overhead camshaft utilizing “chain-drive” which was brand new at the time. The engine breathed through three valves per cylinder; two small intake valves and a large exhaust valve. The Type 18 used a lightweight four-speed gearbox. 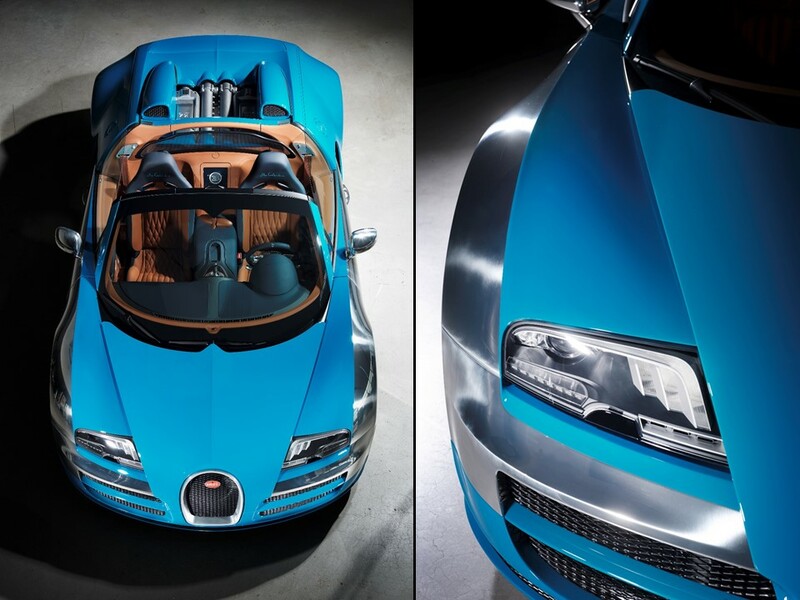 It was definitely built for performance…legendary Bugatti performance. The Type 18 was a true racing thoroughbred and the fastest roadcar in the world. The Bugatti Type 18 was a milestone vehicle. Only seven were built from 1912 until 1914. 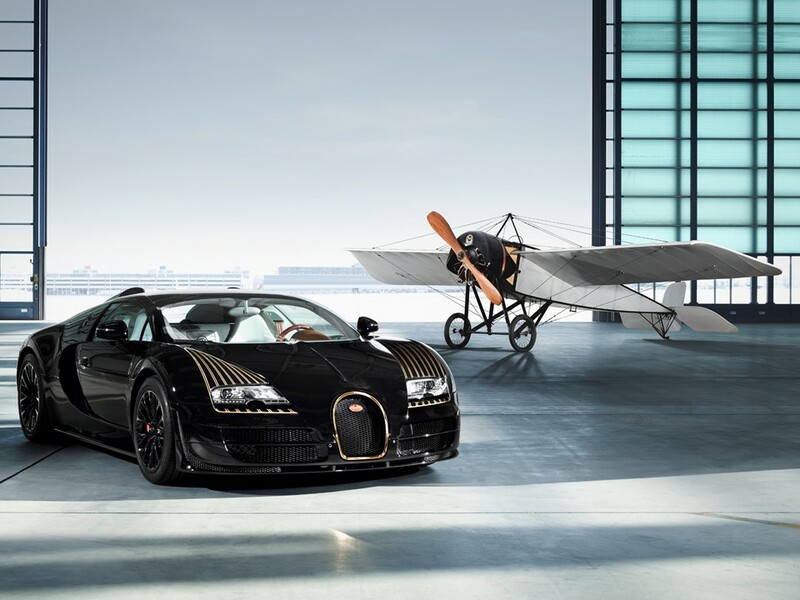 Ettore Bugatti drove the Type 18 securing a win in the infamous “1912 Mont Ventoux Hill climb.” One of the seven built went to famed aviation pioneer Roland Garros who became intrigued by the Type 18 at the Mont Ventoux victory. Garros successfully crossed the Mediterranean in an airplane in 1912. He loved speed and desired a car that would allow him to travel as fast on land as he could in the air. 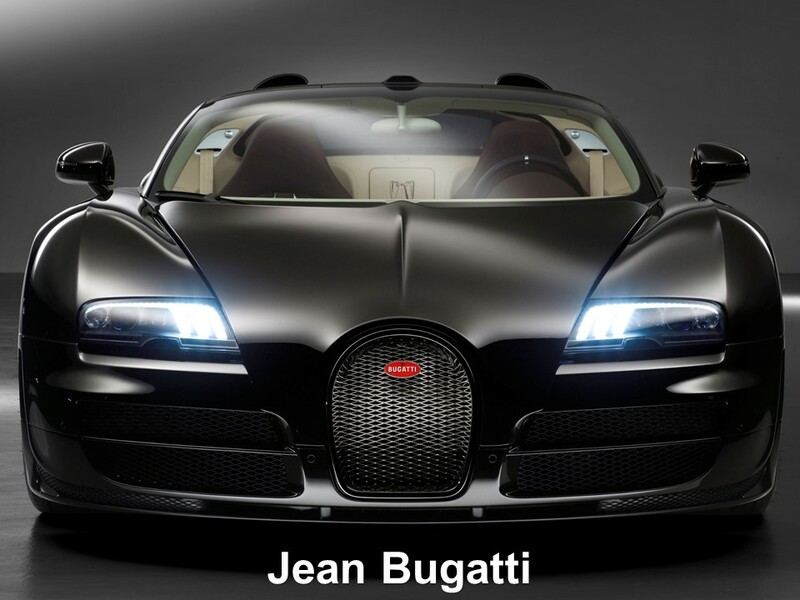 The Bugatti type 18 was the car for him. 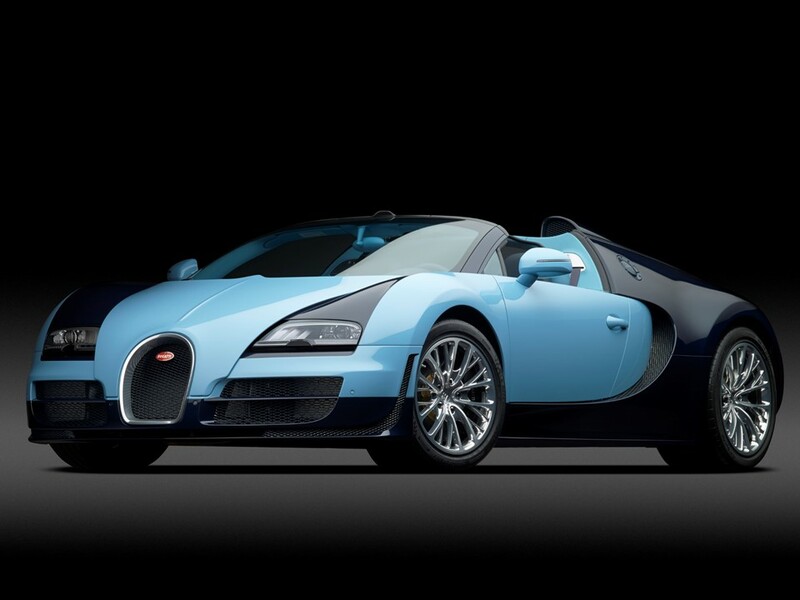 Ettore Bugatti achieved a major marketing feat with Roland Garros as a patron. The Bugatti Type 18 with vehicle ID #474 was delivered to Garros on September 18, 1913. The vehicle was later named “Black Bess” after an English racehorse. It is one of only three survivors out of the original seven built. It resides in the Louwman Museum located in The Netherlands. 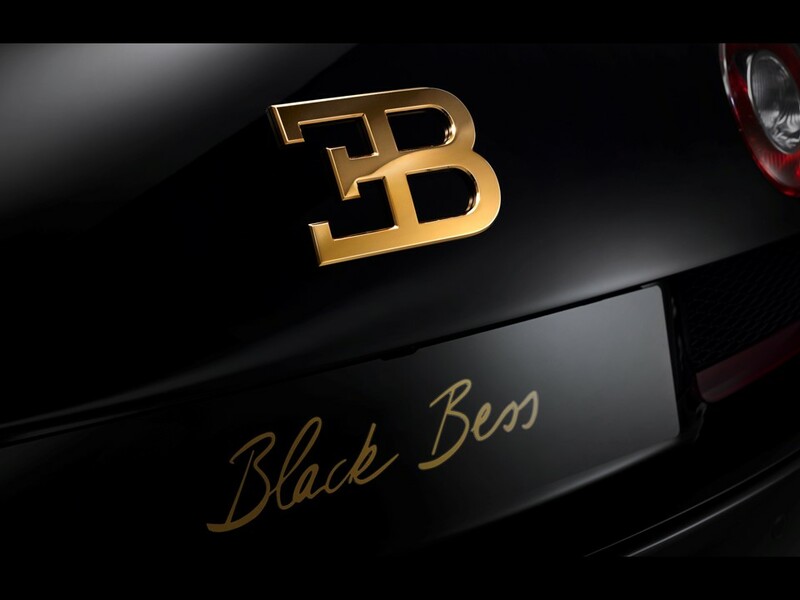 This priceless museum piece was on display with the current Vitesse legend model “Black Bess” unveiled at Auto China Beijing 2014. The event was held from April 21 until the 29th in the China International Exhibition Center. 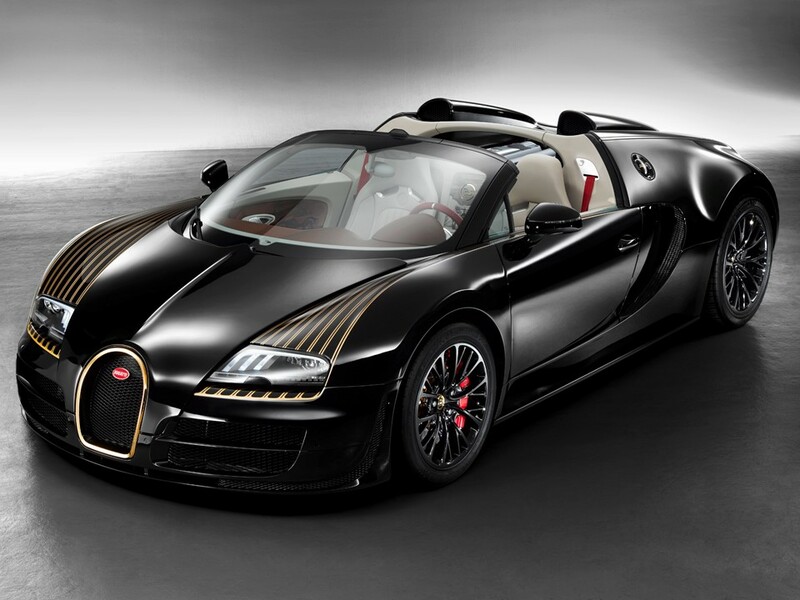 The Bugatti Veyron 16.4 Grand Sport Vitesse “Black Bess” edition is available for $2.15 Million Euros. This edition, as the previous four releases is being built at a restricted pace of three vehicles. 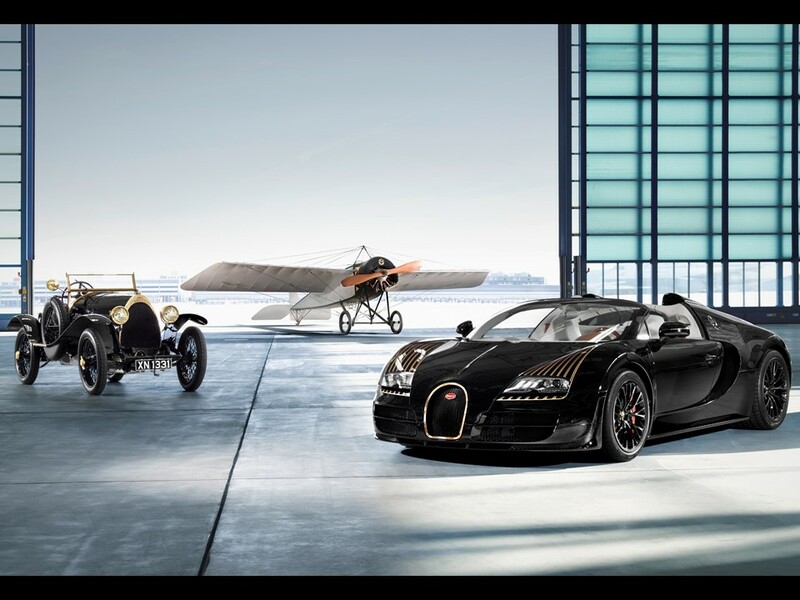 The Bugatti Type 18 was in a class all by itself, and what better way to be epitomized than with its direct forerunner the world speed record holding Veyron 16.4 Grand Sport Vitesse “Black Bess” edition, release #5 in the impressive “Les Légendes de Bugatti” Collector’s Series. 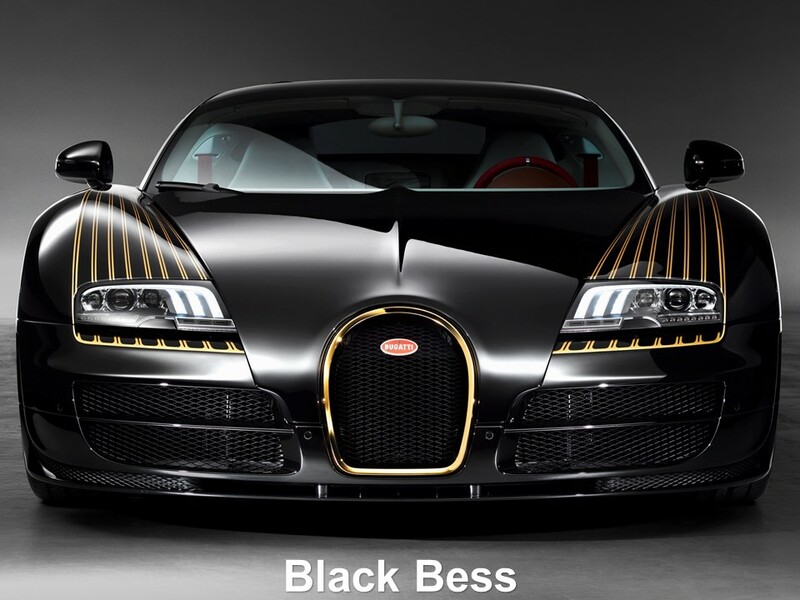 The exterior of Black Bess is constructed completely of carbon-fibre and painted in all black. Some components are coated in 24-carat gold. 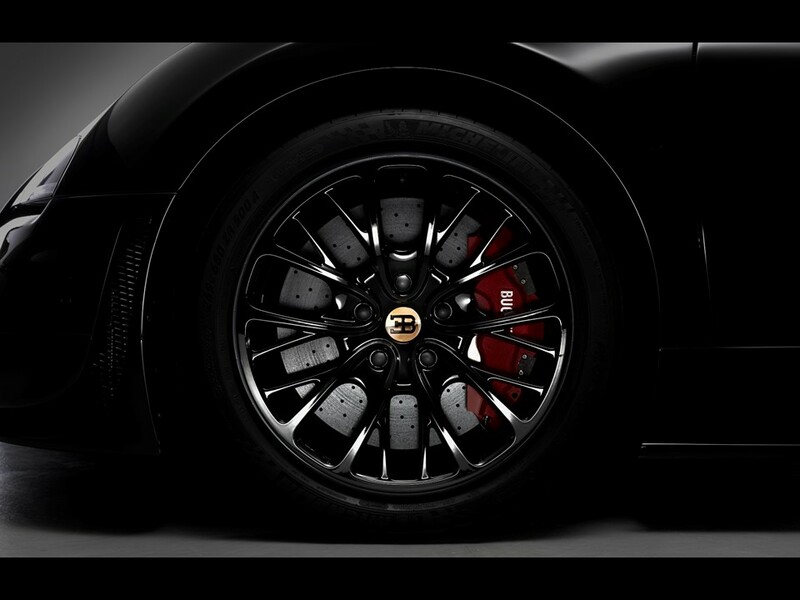 The Bugatti horseshoe is gold-plated as well as the “EB” logo on the back of the car, also the wheel hub covers on black rims. 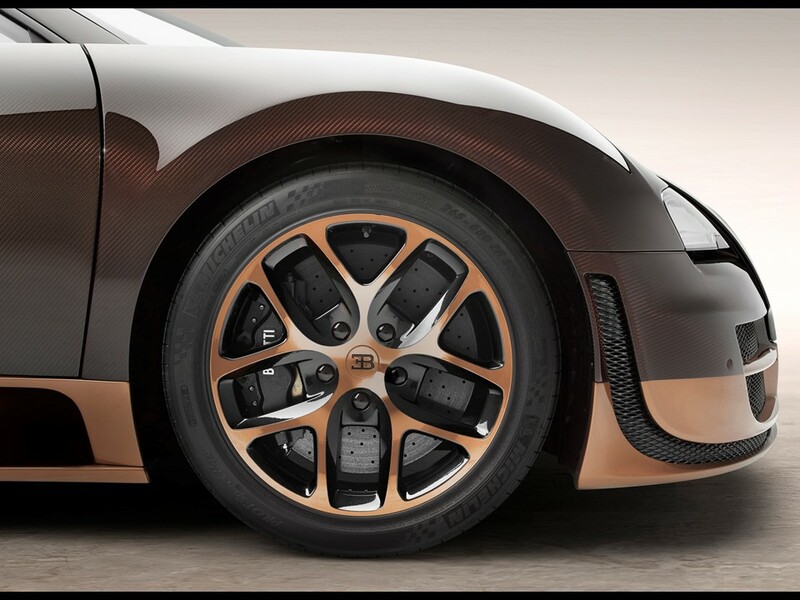 The tank and oil filler caps are engraved with “Black Bess” in gold paint. 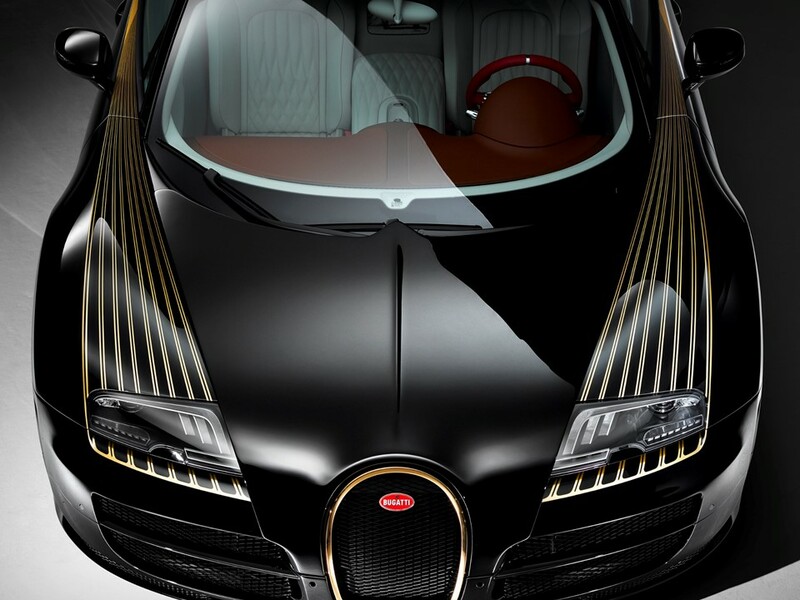 Gold color pin striping accentuate the black finish beginning below the headlamps traveling over the front wings towards the rear then tapering off at the end of the door shut lines. The Legend Vitesse is finished as the original Type 18 in all black. 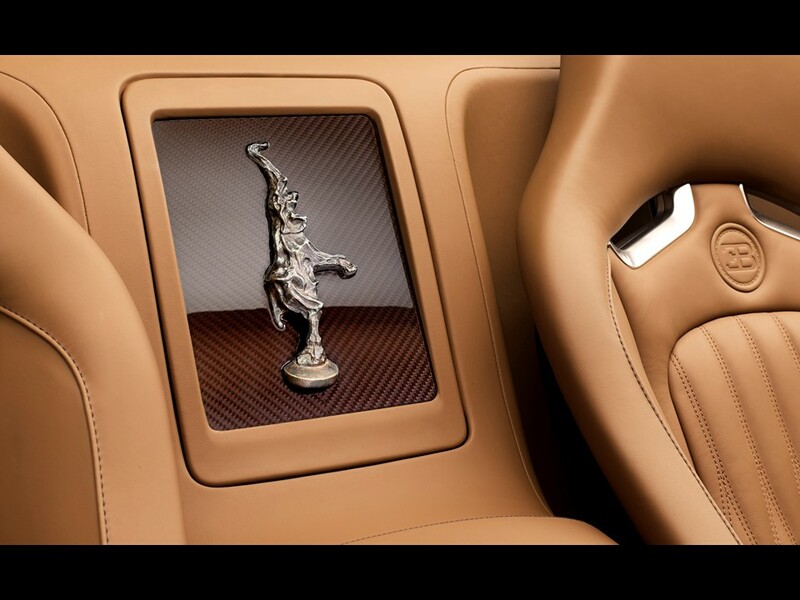 The interior is fully upholstered in leather. Its headliner, footwells, seats, center console, and rear bulkhead are trimmed in light beige. The dashboard, dash panel, door trim panel, and cowl panel are done in “Havanna”. Crimson red leather trims the steering wheel reminiscent of the historic Type 18 “Black Bess.” The red accent stitching adorns the outer seat bolsters and seat belts. 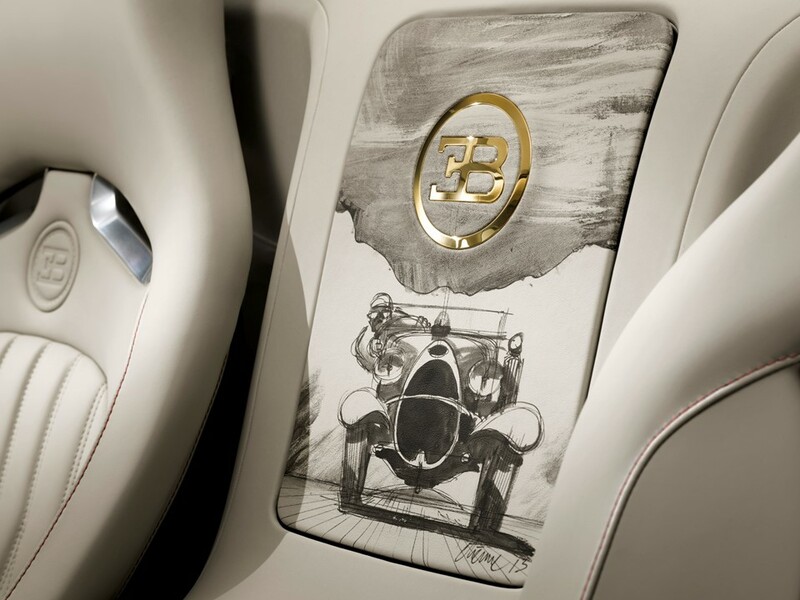 Bugatti developed a unique process for hand-painting the leather that has never been used before in the auto industry. 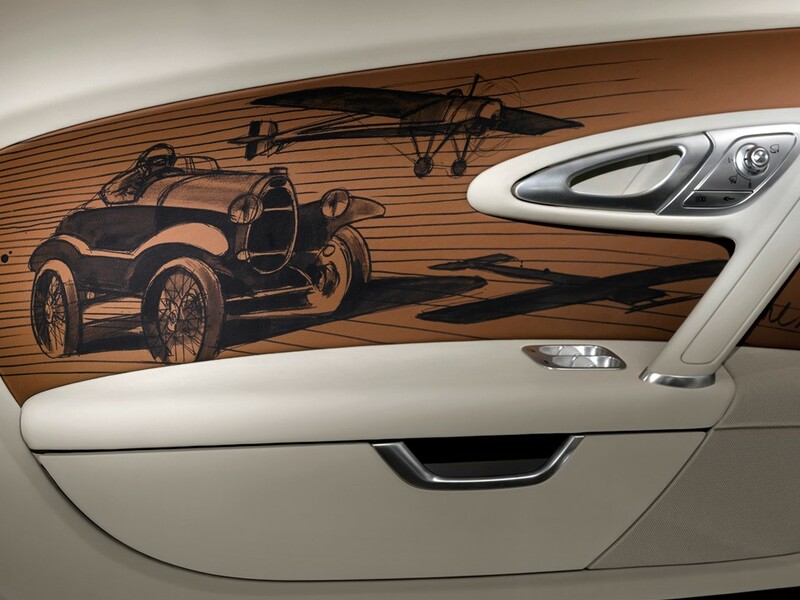 The door panels are upholstered in “Havanna” leather and bear scenes that depict the historic Type 18 “Black Bess” along with Roland Garros’ airplane a Morane Saulnier Type H. The scenes are hand-painted directly onto the leather just as they were on luxury cars of the early 1920s. For durability, a special ink and impregnation process was developed with a focus on individuality. 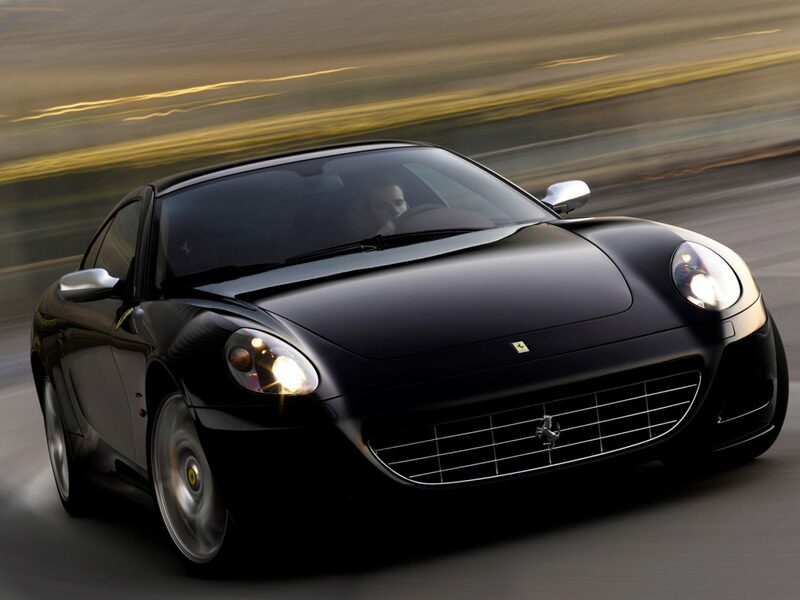 The modern-day “Black Bess” is equipped with the mighty W16 8.0 litre 16-cylinder engine. The engine uses variable valve timing, four turbochargers, and intercooler with indirect injection fuel delivery system. The engine produces 1,200 hp @ 6,400 rpm with 1,500 Nm of peak torque @ 3,000-5,000 rpm. Performance is rated as 0-60 mph in 2.3 seconds, 0-100 mph in 5 seconds with a top speed of 264 mph. It can do the ¼ mile @ 149 mph in 9.8 seconds. 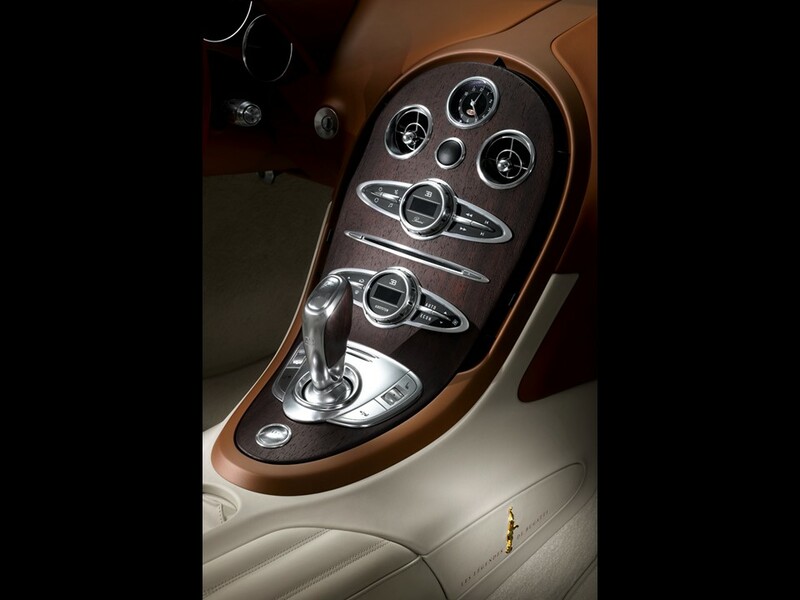 The engine is mated to a 7-speed dual clutch automatic gearbox with manual shift mode. 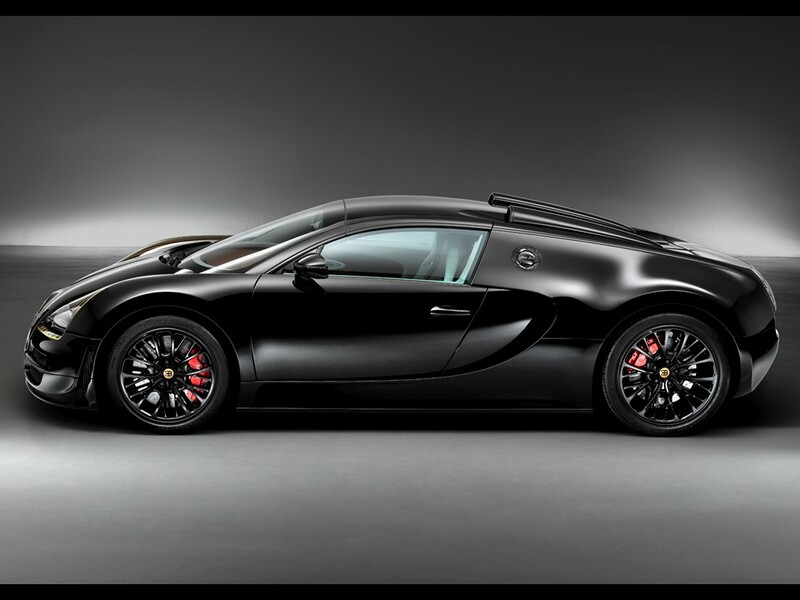 The Veyron is 175.7” in length, riding a 106.7” wheelbase and is 78.7” wide. 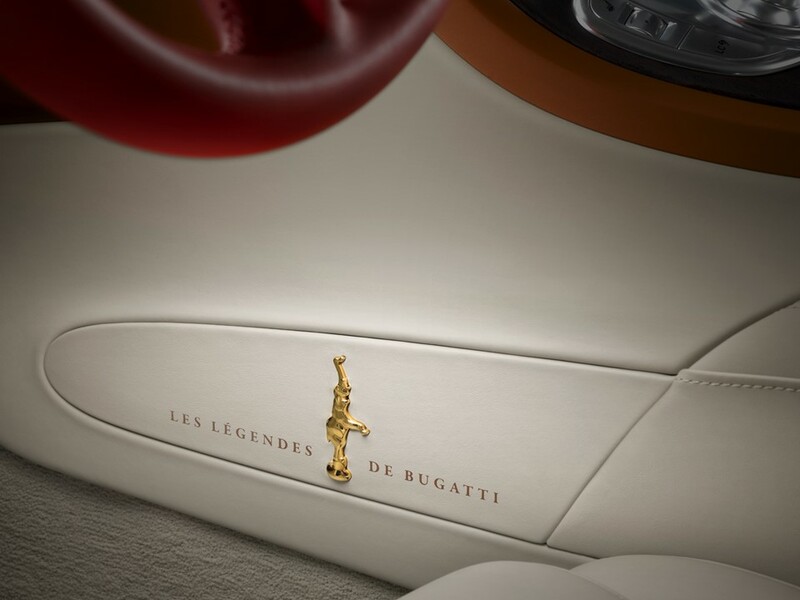 The Bugatti Collector’s Series “Les Légendes de Bugatti” has been an extremely successful promotion for the brand. 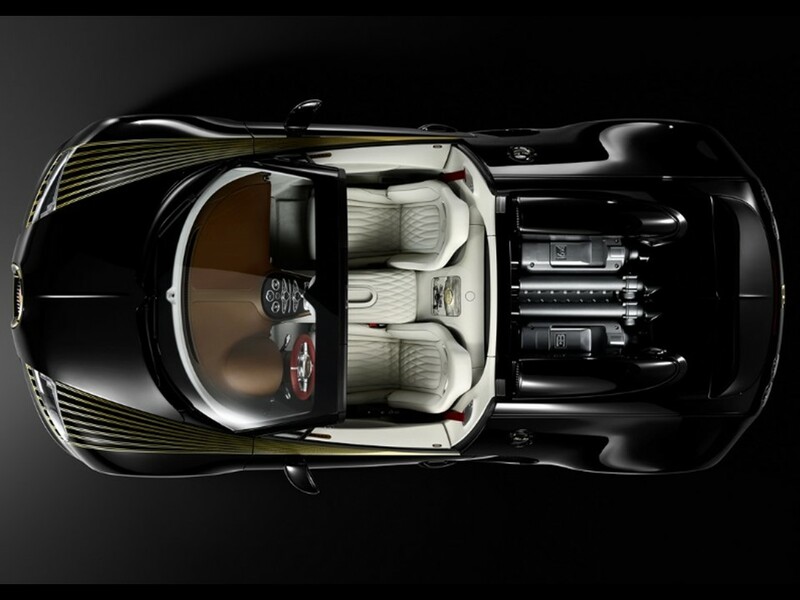 Each of the previous four releases yielded twelve examples of Bugatti automotive art. 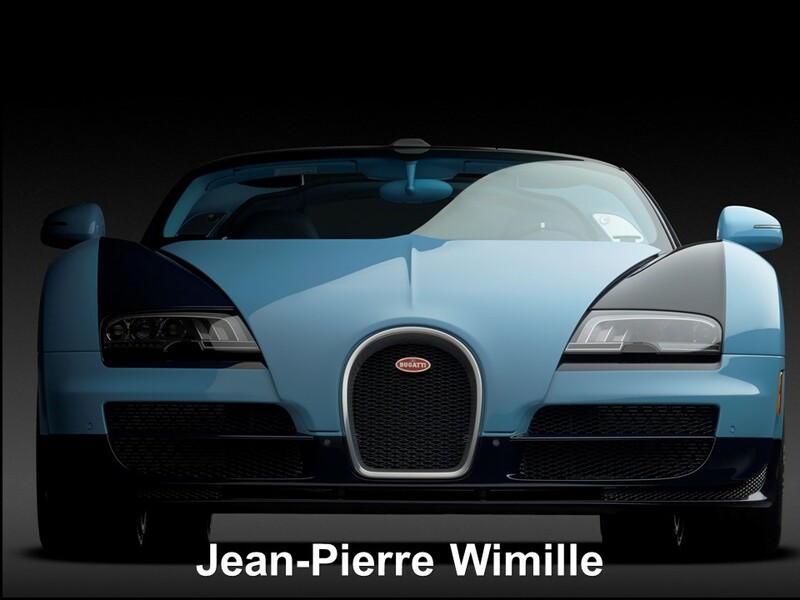 Each of the twelve vehicles sold for an average $2.2 Million Euros and have all been sold to date. 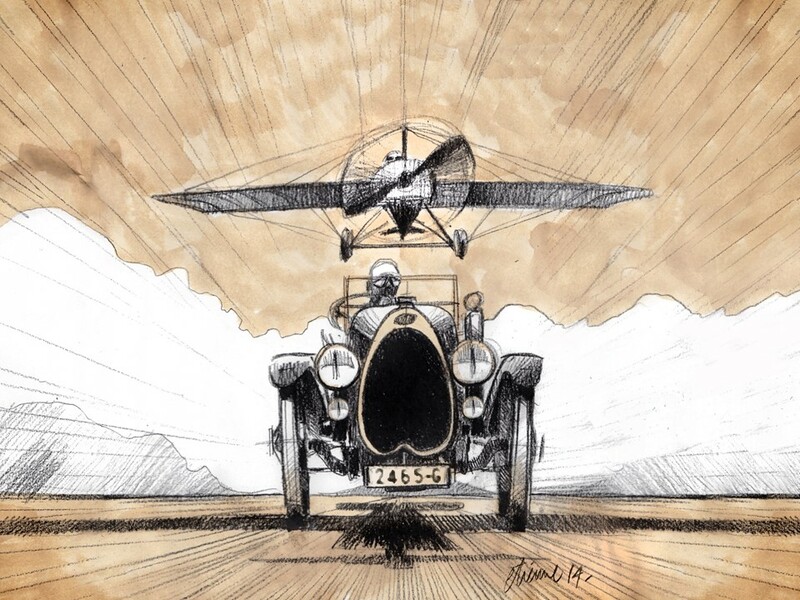 The fifth release, “Black Bess” is a tribute to the legendary Type 18 “Black Bess” that was originally owned by Roland Garros, French aviation pioneer. The Type 18 was a legend in its own time. Ettore Bugatti secured a win in his class in the important 1912 Mont Ventoux Hill climb in the Type 18. 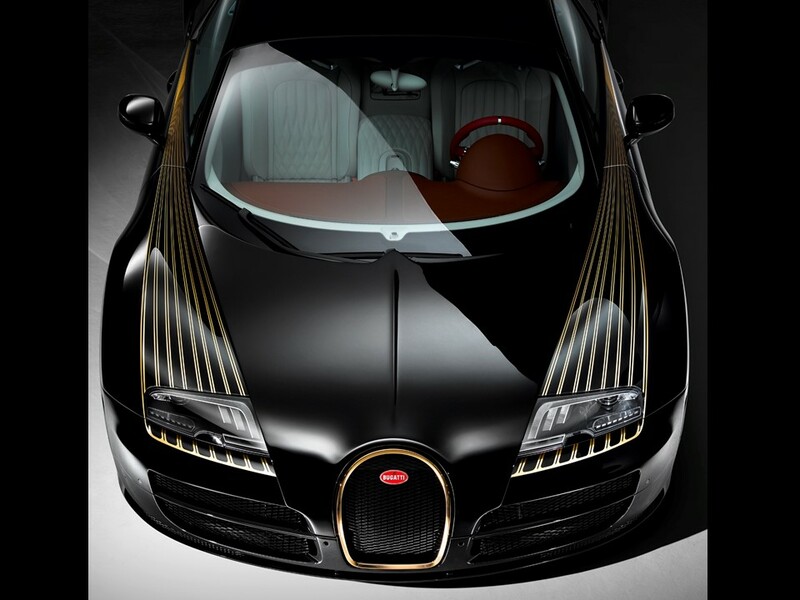 The Bugatti Veyron 16.4 Grand Sport Vitesse is a blank canvas to exhibit works of automotive art destined to become museum pieces as the original Type 18 “Black Bess” which is one of three survivors of the seven originally built.